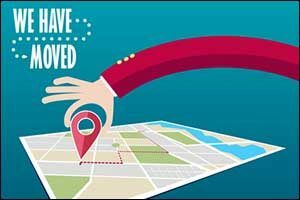 There are many reasons why you might want to relocate your business. Sometimes a business is successful, and you need more space for inventory and customers. Other times, you might decide to downsize your office space and focus more on Internet-based sales and services. Whatever the reason, it is critical to work with a reputable moving company in Massachusetts when planning a commercial move. Whether you require commercial packing services or specialty solutions for high-value, sensitive, or oversize equipment, Statewide Moving Company can help. As you discuss your needs for Southeastern Massachusetts commercial moving, make sure to ask about the things that matter most. Different businesses have different needs. It pays to hire a company that specializes in the type of moving that you require. Moving product stock for a retail shop or service provider is much different than moving medical supplies and equipment. The more questions that you can ask a moving company in Massachusetts, the more confident you will feel about the services that they can provide. Depending on the type of business that you operate, you might require specialty moving services. Commercial packing services and moving services may not be legally allowed to move certain items due to state or local restrictions. One example would be an auto repair shop that works with a lot of chemical cleaners and fluids. Many of those items would be deemed hazardous materials and, unless the moving company is authorized to transport those types of items, you might have to transport those things yourself. The same holds true with medical equipment, such as laboratory or radiology departments for a hospital or clinic. It is a good idea to speak with the movers ahead of time about the type of business you own and the things that you will need to have moved. You might be able to have a bulk of your assets moved by the Southeastern Massachusetts commercial moving company and will only need to make in-house arrangements to move some of the items on your own. At Statewide Moving Company, we come to your place of business to discuss your needs before you ever sign a contract, so we know what needs to be moved and can confirm our ability to move the items safely and effectively to your new location. While you might have some items that you want to pack up yourself or have your employees pack themselves, such as personal items from desks and the breakroom, commercial packing services can be very helpful. When planning a commercial move, there are so many working parts that must be considered. Having a highly trained and experienced team of movers who can properly pack up all of your high-value or sensitive items is important. Our team has all of the professional packing supplies and training required to get the job done right and protect your business equipment and assets during a move. At Statewide Moving Company, we can also help pack up and create strategies for moving office furniture and business fixtures. We have worked with retail stores, professional offices, medical clinics and hospitals, dental offices, and many other types of businesses that require special packing and care. Our moving company in Massachusetts can help you find solutions for all of your hard-to-move items, including odd-size and over-size equipment and modular furniture. Having your employees pack and move your assets provides you with zero moving protection. A professional moving service provides you with a team of experts who have access to all of the tools, equipment, and training necessary to get the job done right. Another great service that is available for our commercial customers is end-to-end services. This involves our team not just bringing your belongings to the new location and leaving it for you to unpack, uncrate, and reassemble. We can also provide unpacking and assembly services in addition to our commercial packing services. Make sure to speak with a representative about your needs, and we will create a solution to accommodate your requirements. Statewide Moving Company in Massachusetts has earned a solid reputation for providing top quality moving services for commercial clients throughout Southern New England. Get a FREE estimate for any of our Southeastern Massachusetts commercial moving services by calling 508-620-6411. Our team can answer any questions that you might have about planning a commercial move, and we will schedule a tour of your business at your convenience to discuss your requirements. Give us a call and see for yourself why so many local businesses trust Statewide Moving Company to take care of their commercial moving needs.